Since launching our faculty badging program in August, teachers have earned over 100 badges and provided some intriguing information related to mastery and learning needs. What does this data tell you about our faculty learning and the power of badging? Number of faculty who have earned 8 badges, 7 badges, etc. We rocked it on Summer Learning. Folio, Drones, and Blogging are fairly strong. Though we’ve spent several faculty meetings focused on formative assessment in recent weeks, only 1 person has applied for and earned the formative assessment badge. 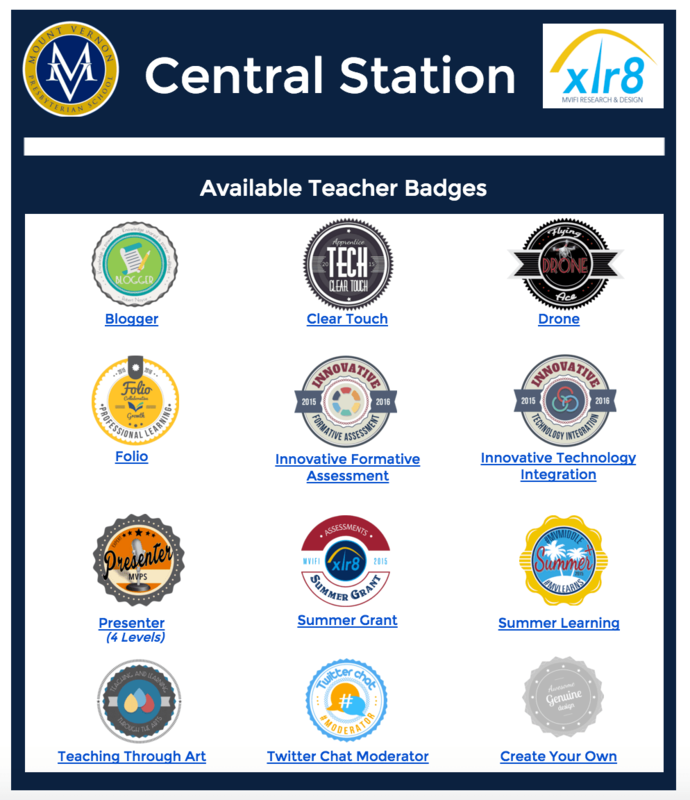 Also, since receiving Clear Touches in every room, only 5 have earned that badge and only 1 faculty member has demonstrated the basics to earn a badge for innovative technology integration. Wonder what the focus of our upcoming meetings might be? Here are the 12 badges available to faculty since August. Each one has specific criteria and evidence required to earn. Great post! You mentioned that each badge is linked to specific criteria and evidence. I was wondering, who developed those criteria, and how do teachers apply for, and earn badges? Thanks!